'Weightlifting Fairy' Star Nam Joo Hyuk Has A Fan Meet In Manila! Headlines, hot news, and conversation starters on July 18, 2017! 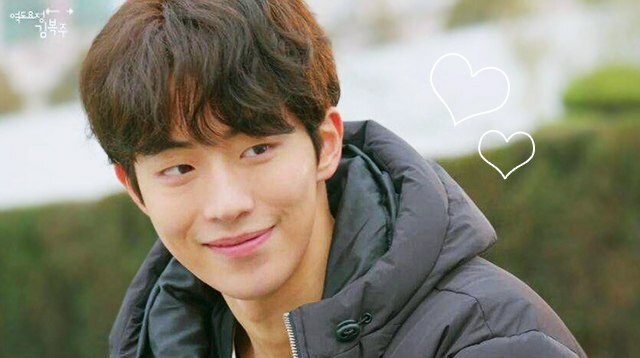 1 Get ready, K-drama fans, 'cause Nam Joo Hyuk is coming to Manila! The Weightlifting Fairy star is set to have a series of fan meetings in Southeast Asia—starting off in Bangkok, Thailand, then Manila, Philippines, and lastly, in Taipei, Taiwan. Nam Joo Hyuk will be meeting his Filipino fans at the Kia Theatre in Quezon City on September 23. 4 Ed Sheeran made his cameo appearance on the Season 7 premiere episode of Game of Thrones. The British singer was true to his element as he sung a folk song with his fellow Lannister soldiers. After the episode aired, Ed shared a #tb pic with his co-actor Maisie Williams! 5 Two of our favorite sweets—Cadbury chocolate and Oreo cookies—will now be joined as one! Cadbury's newest offering, Cadbury Dairy Milk Oreo, gives us smooth and chocolatey goodness mixed with the yummy crunch of Oreos. YUMSSSS.